Its essence is casual comfort made unique by wide framed wood doors with smoked glass inserts. The thick wood cross section of its top gives this cabinet a dramatic look.Cabinets are built on an all aluminum chassis and incorporate premium quality to ensure reliability and durability. 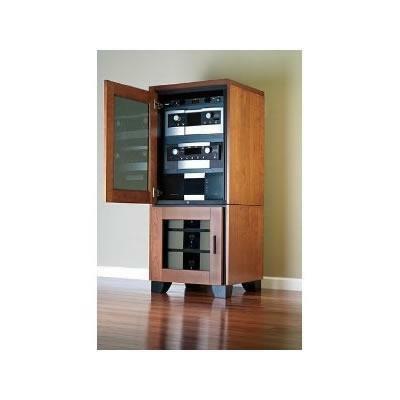 Cabinets incorporate premium quality components including solid wood doors with soft-closing dampers, infinitely adjustable shelves, ventilation louvers in the bottoms of cabinet segments, and removable rear panels for fast, easy access to component jacks. 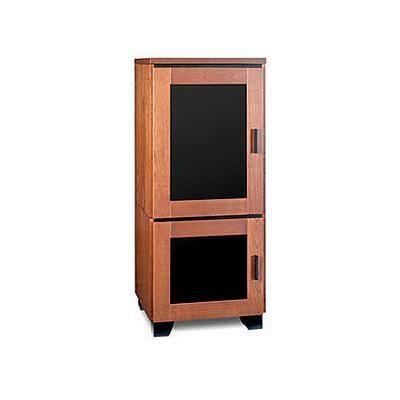 And our advanced manufacturing and assembly methods allow a finished cabinet to be delivered within a few days.